Time : 07 .00 p. m.
Venue : Swatantrata Bhawan, Banaras Hindu University, Varanasi. 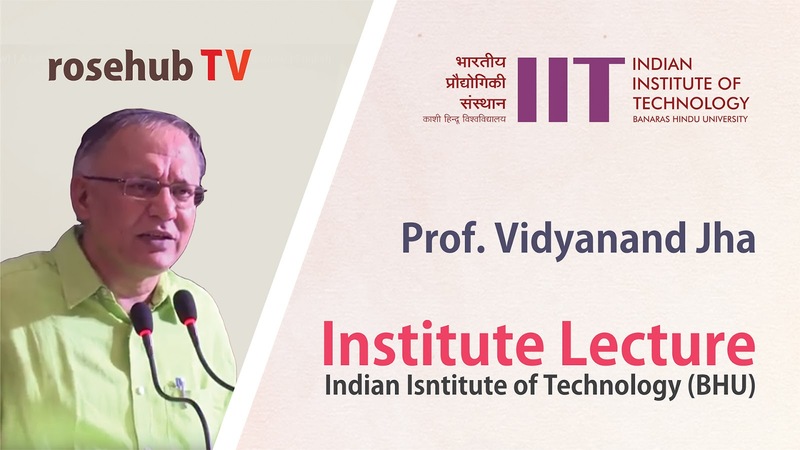 He teaches post graduate students and working managers from corporate, government and non government sectors from India and abroad on Organisation Behaviour; Organisation Theory; Management of Creativity and Innovation; Human Resources Management; Management of Organizational Change; Interpersonal and Group Behaviour; Stress Management, Communication and Presentation Skills, Organizational Development; and Knowledge Management. 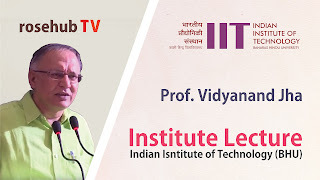 He has conducted programmes for a large number of organizations like L&T Limited, ABP Limited, Paypal, Hindustan Motors Ltd., Lafarge India Limited, Duncan Agro Industries Limited, Cognizant Technology Solutions Limited, CESC Ltd., NTPC, NHPC, Powergrid, Coal India Limited, Indian oil Limited, SAIL Ltd., BALCO, NMDC Ltd., Engineers India Limited, Life Insurance Corporation, State Bank of India, UCO Bank, United Bank of India etc. He also directed 6 months’ certificate programme for armed forces for three years. Way back in 1998, he directed a refresher course for IAS officers. He has also conducted many programmes in Bangladesh for Coats Bangladesh Limited, Royal Danish Embassy, Chittagong Skills Development Centre, Akij Group and Robi Axiata. He has also worked on a number of consulting assignments in the areas of organizational development, strategy and human resources for clients such as Department of Education, Government of India, Department of Wildlife and Forests, Government of West Bengal, Garden Reach Shipbuilders and Engineers, Kolkata, United Nation’s Development Programme, India; Department of Health, Government of West Bengal, Sabuj Sangh, Paul Foundation, Sir Dorabji Tata Trust etc. His current research interests include managing creativity and innovation; social entrepreneurship and diversity. He has visited Management Schools in Bangkok and Santiago to teach courses. He was also invited by Sultanate of Oman as a key note speaker in the SME conference. He has led delegation of Indian top managers to Brazil, Chile, Czech Republic, Peoples’ Republic of China, Egypt, France, Germany, Italy, Switzerland and Turkey. He has co-conducted open management development programmes in United Arab Emirates. Prof. Jha has a Ph. D. in organizational Behaviour from Indian Institute of Management, Ahmedabad and a Post Graduate Diploma from Institute of Rural Management, Anand, India. He has also worked with National Dairy Development Board, Anand, India for more than three years after his post graduation. He received the Best Young Case Writer award from Association of Indian Management Schools in 1998. He is also a poet, short story writer and literary critic in Maithili. His first book of poems was published by Sahitya Akademi, the national academy of letters. His poems have been translated into Hindi, English, Bangla and Telugu. He received the Katha award for translation in 1998. He has a deep and abiding interest in cinema and completed the Certificate Course in Film Appreciation from FTII, Pune in 2000. He likes travelling; listening to Hindustani vocal music and Jazz; reading literary fiction and going for long walks. India, with its large and relatively young population, needs to grow at a high rate to create an acceptable level of material well-being for its population. World economy has great expectations from India, along with some others like China, Brazil and Russia to provide dynamism to it in the coming decades. Moreover, given the income distribution in the country, there are large number of people who need low cost goods and services. This necessitates a higher degree of innovation in India. India is showing an improving trend, starting form a low base in terms of parameters on innovation. On the Global Innovation index (GII) India was 81st in 2015 (out of 141) countries as compared to 76th in 2014. 2015 report noted that Gross Expenditure on R&D had consistently increased over the years. It reached Rs. 53’041.30 crore in 2009-10, an increase of around 45% over 2004-05. GII listed quality of top universities, citation of publications (0.35 in 1981-85 to 0.68 in 2006-10); mobile networks, information technology, and broadband; and gross capital formation and market capitalization as areas of strength of India. It also listed situation of small and medium enterprises, intellectual property rights and higher education as areas of weakness. Most of the parameters like number of patents, number of publications, number of scientific personnel etc. show a similar trend. In addition a number of factors like increased and sustained focus of successive governments in building institutions related to innovation; vibrant start up activities, especially technology startups, vibrant private equity activity and other early stage financing activities; increased R&D by multinational companies in India, especially in software R&D; India specific low cost innovation or Jugaad or frugal innovation; social innovations etc. show a vibrant landscape for innovation. Improvement in R&D expenditure, especially by the private sector and universities; improvement in skill levels of the population and need to renew and grow the training infrastructure for skills; need to improve the number and quality of institutions of higher learning; improving the ease of doing business are some of the areas which need improvement to bring about higher levels and more relevant innovation. India lags in most of the major parameters like patents, publications, number of graduates, and number of full time R&D personnel. In most of the areas, the gap is substantial. Reasons for these are a better social infrastructure in terms of more universal education and skills development record, higher expenditure in terms of higher education and science and technology, better implementation record of government polices etc. 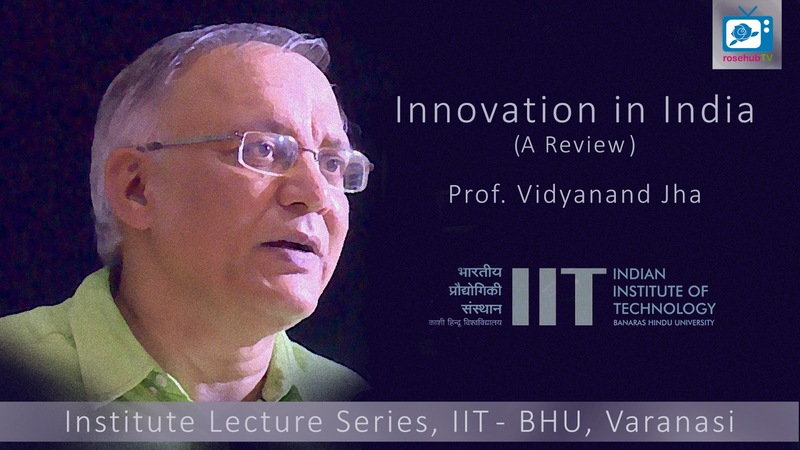 The lecture would conclude with areas in which India can learn from China, a nation emerging as an innovation hotspot. India can learn and increase its spending on higher education and R&D. It could also learn better implementation from China.